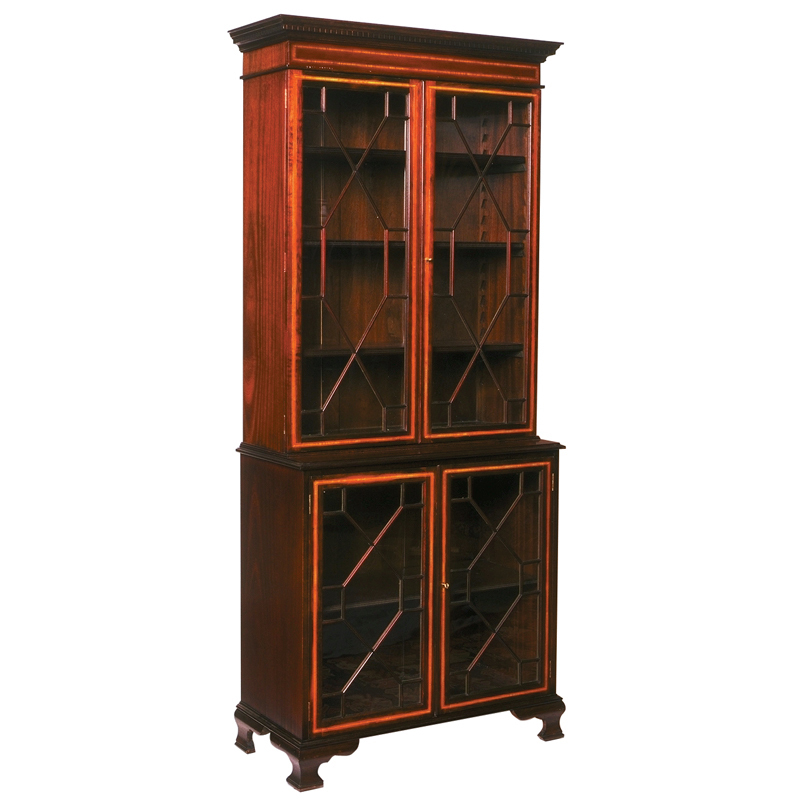 Create a statement in your home with one of our bookcases or secretaries. 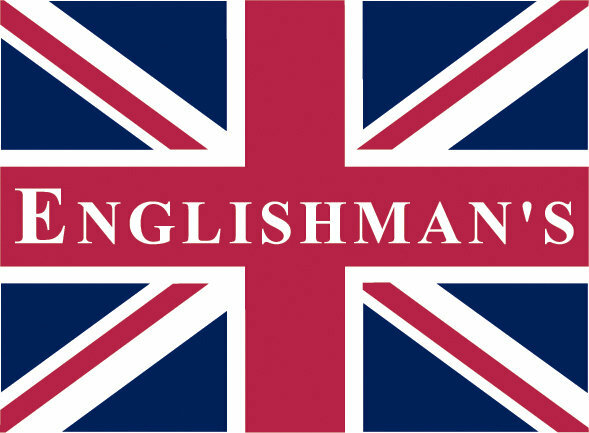 Englishman's has to offer a selection of hand crafted bookcases & cabinets in a variety of styles for your home or office. Walnut finish astragal glazed top breakfront bookcase on plinth base. The base features drawers on both sides and 2 doors with shelf in the center. 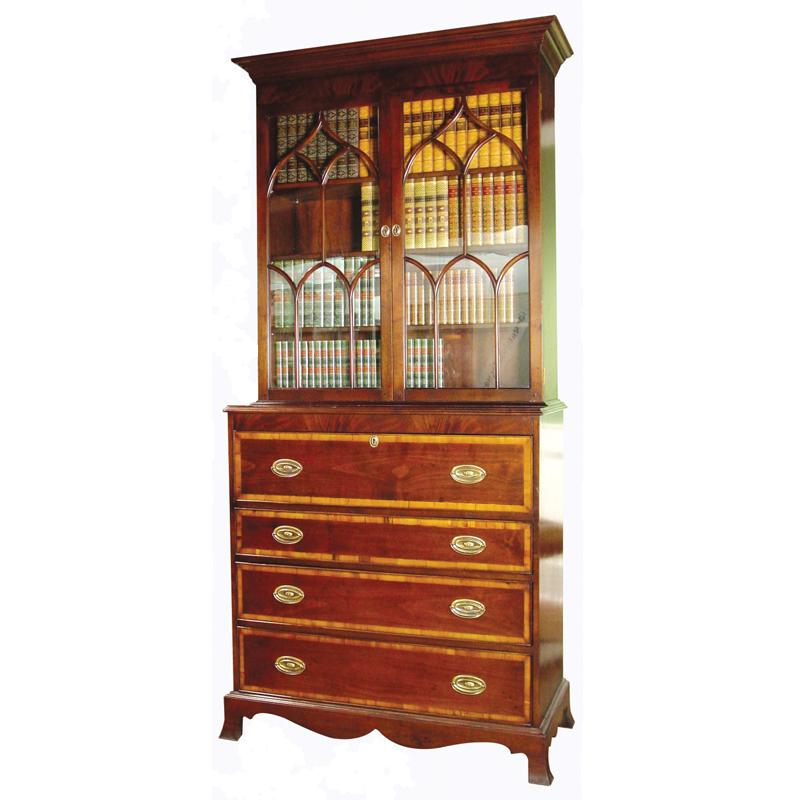 This bookcase is hand made in England by skilled craftsman. 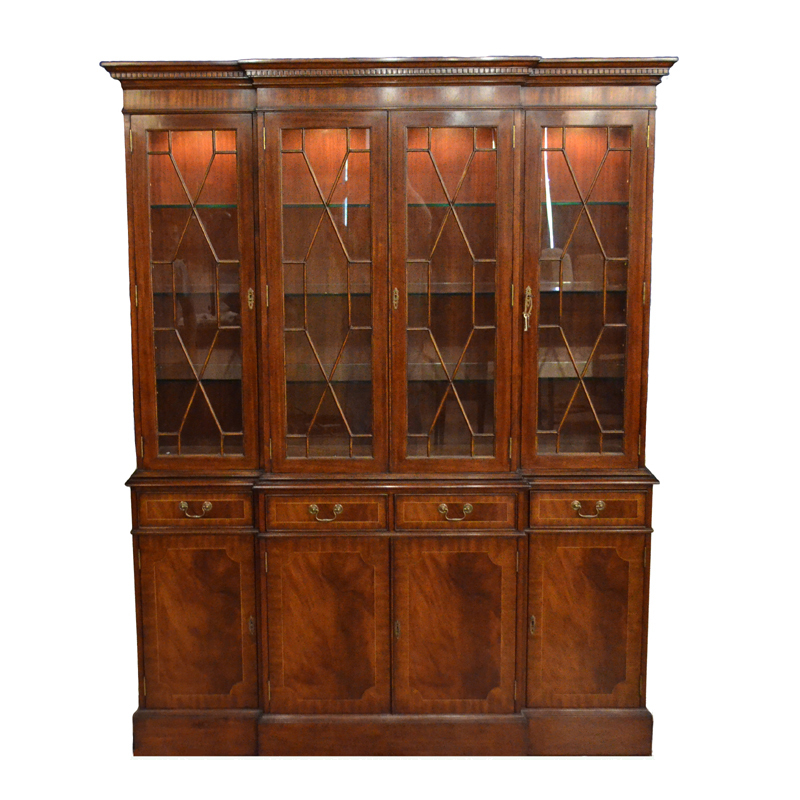 This Leeds Castle Architectural Bookcase is shown here in an Antique Oak finish. 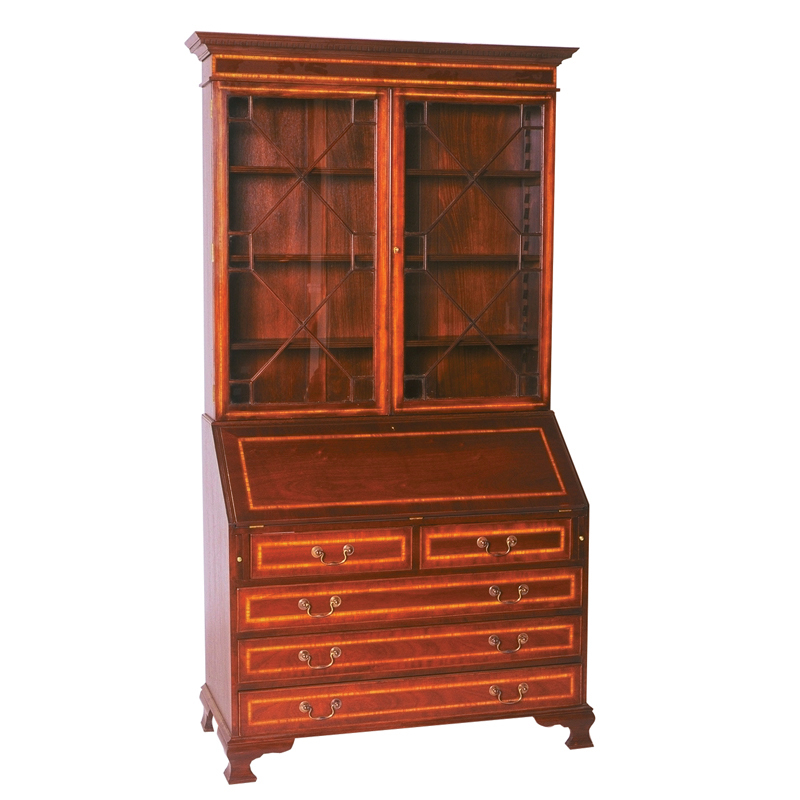 This grand design piece has hand carved detailing as well as brass handles & escutcheons. There is hidden storage behind the architectural columns. 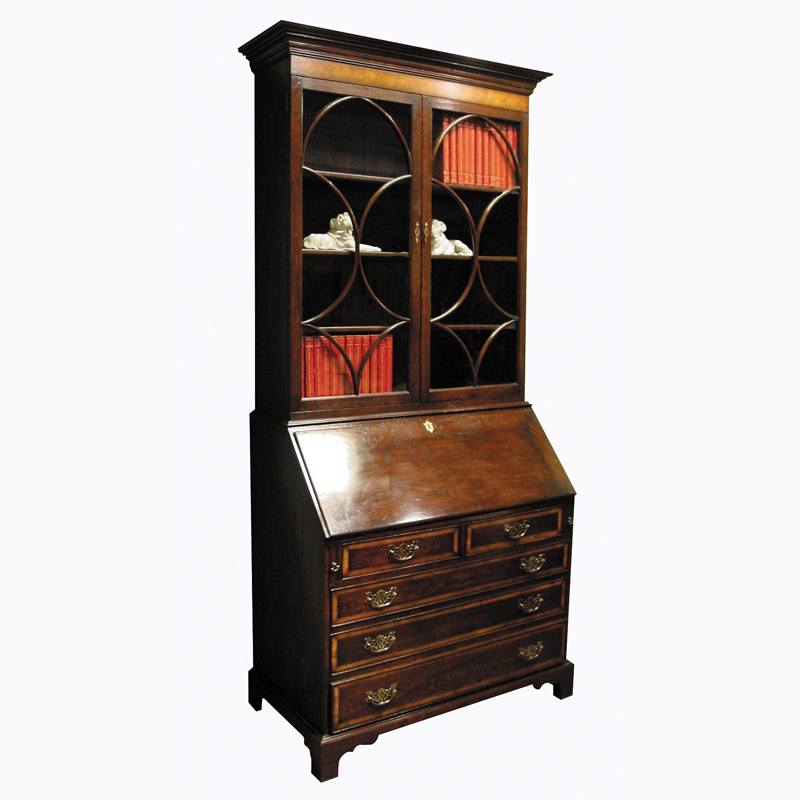 Not only is this piece handsome, it is functional with loads of storage space. This item can also be customized to fit your space and needs. 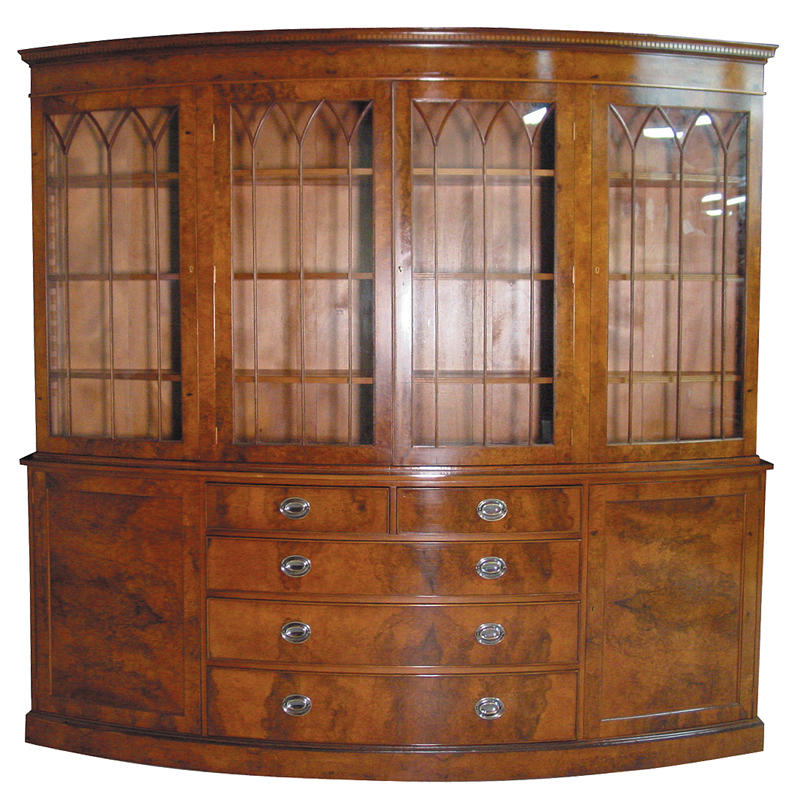 This item is hand built in England by skilled craftsmen. The unique piece is from our Hampstead Collection. 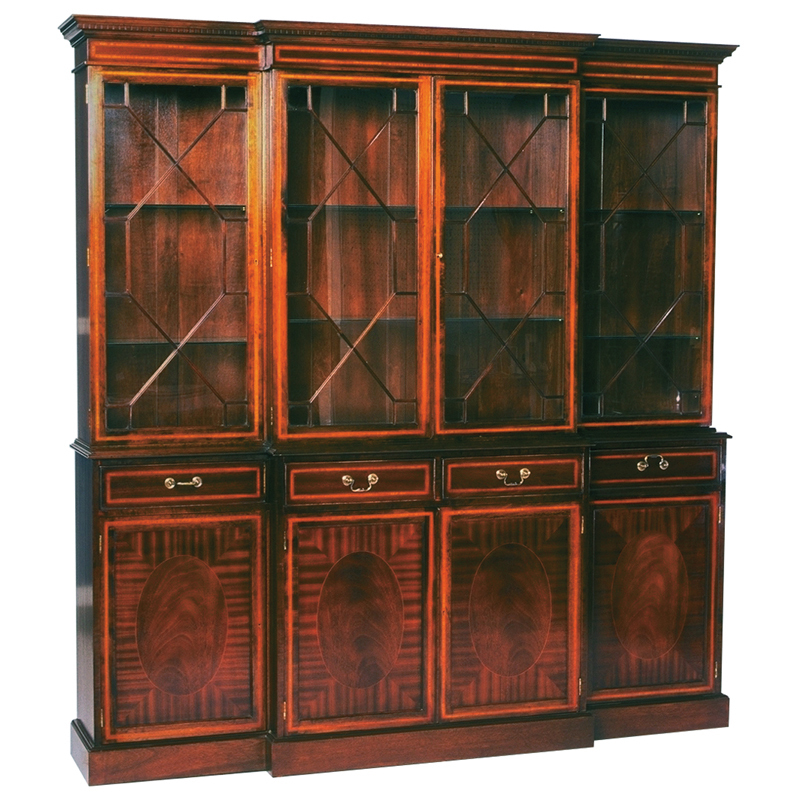 Shown here in Light cherry, the Hampstead display cabinet has glazed doors with black etched banding & shoe feet. It would be a welcome accent piece to any room and show off your special collection in style. Mahogany 4 glazed door breakfront bookcase on plinth base. 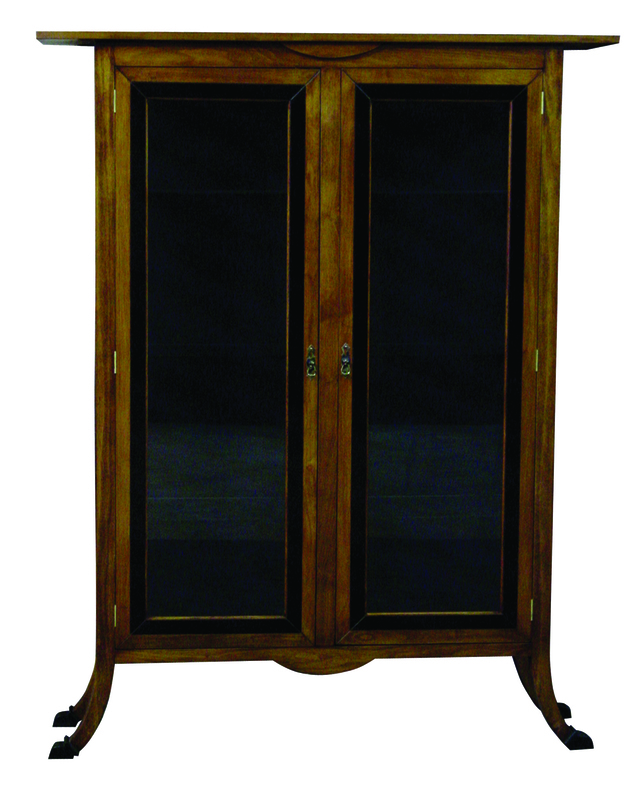 Mahogany finish 5 glazed door breakfront bookcase. 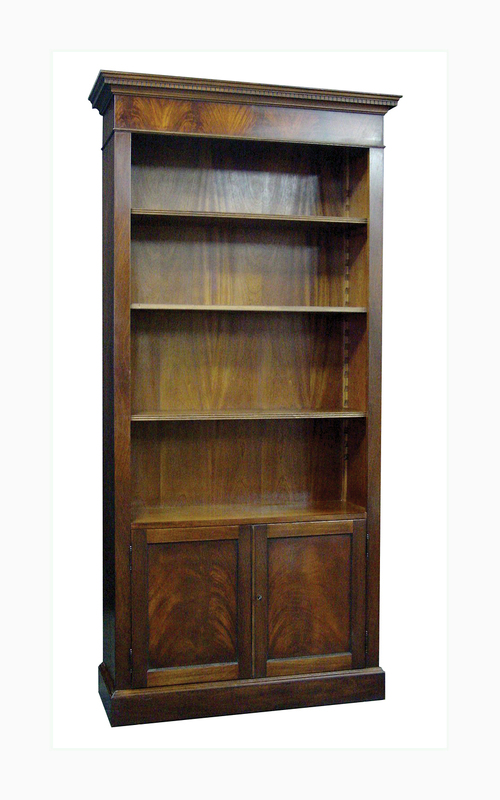 Mahogany breakfront bow-front glazed door bookcase w/chest base on plinth base. 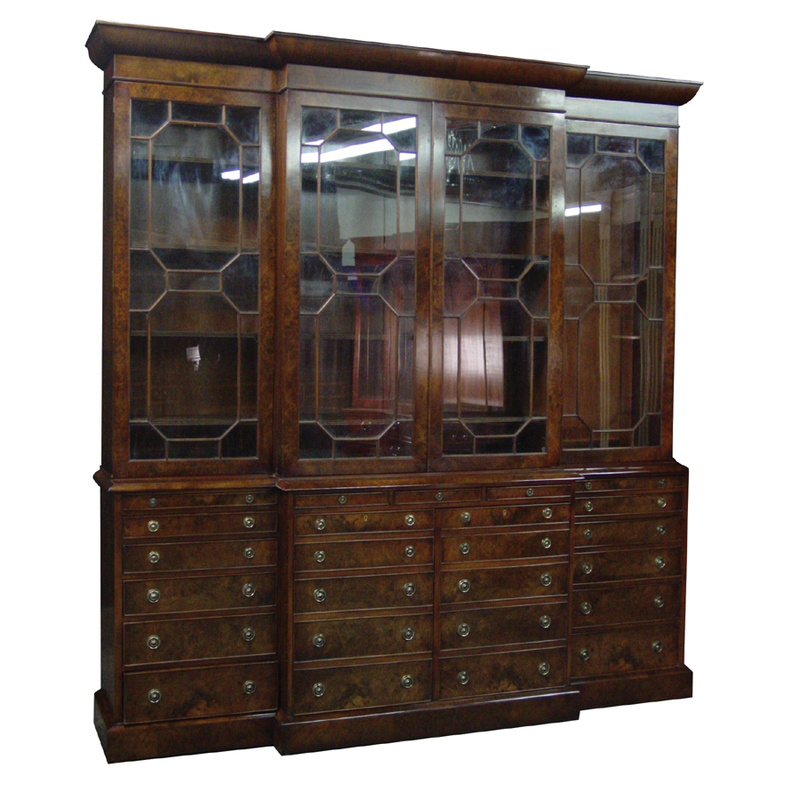 This traditional style Mahogany finish bow front china cabinet, works perfectly in a dining room, living room or any other room you want to show off your special collection. Mahogany fully astragal glazed bookcase on ogee bracket feet. 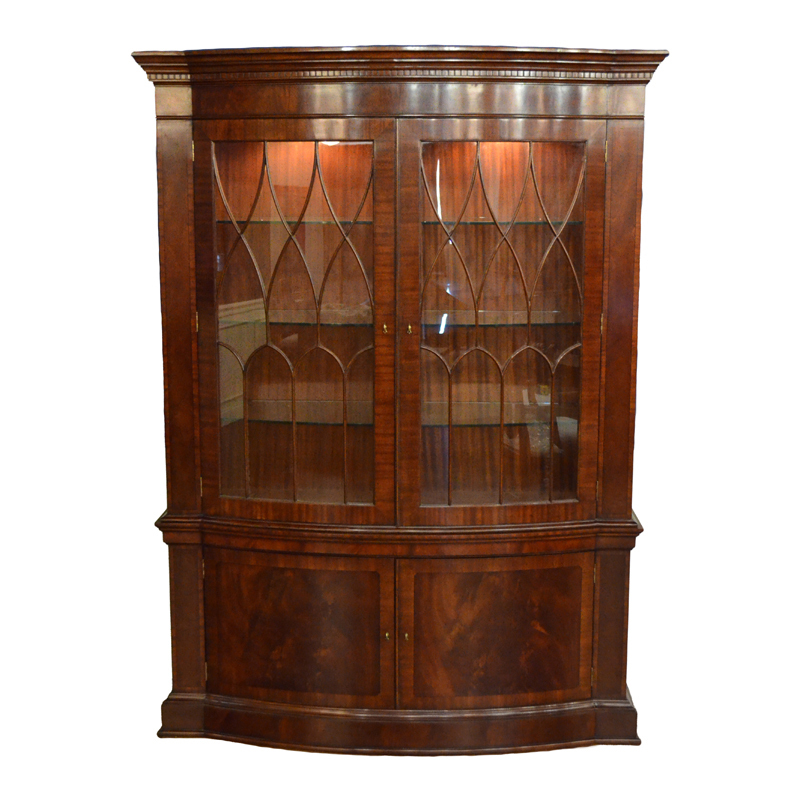 This Astragal Glazed Mahogany cabinet with glass framed shelves & lights, is a classic piece of furniture that would show off your collection in style. 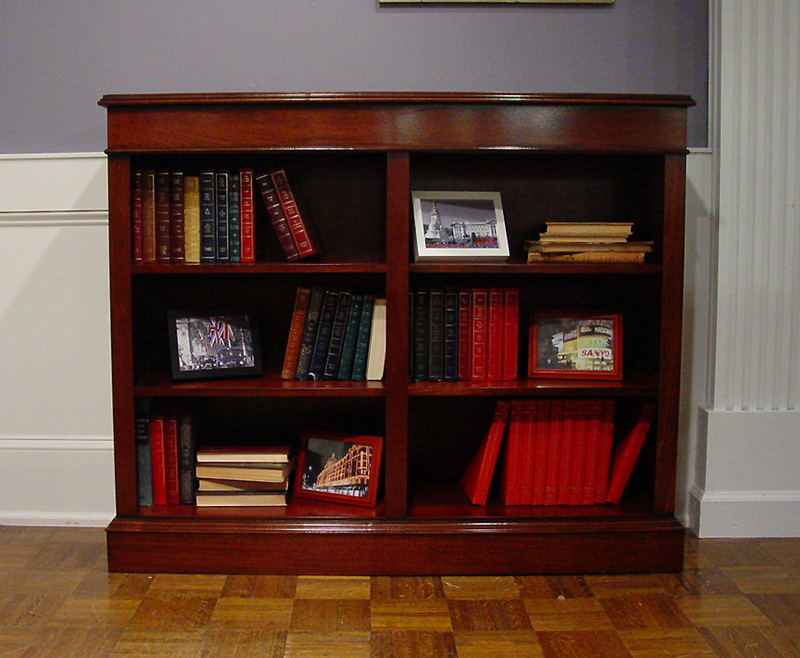 Mahogany low open double bookcase with adjustable shelves on plinth base. 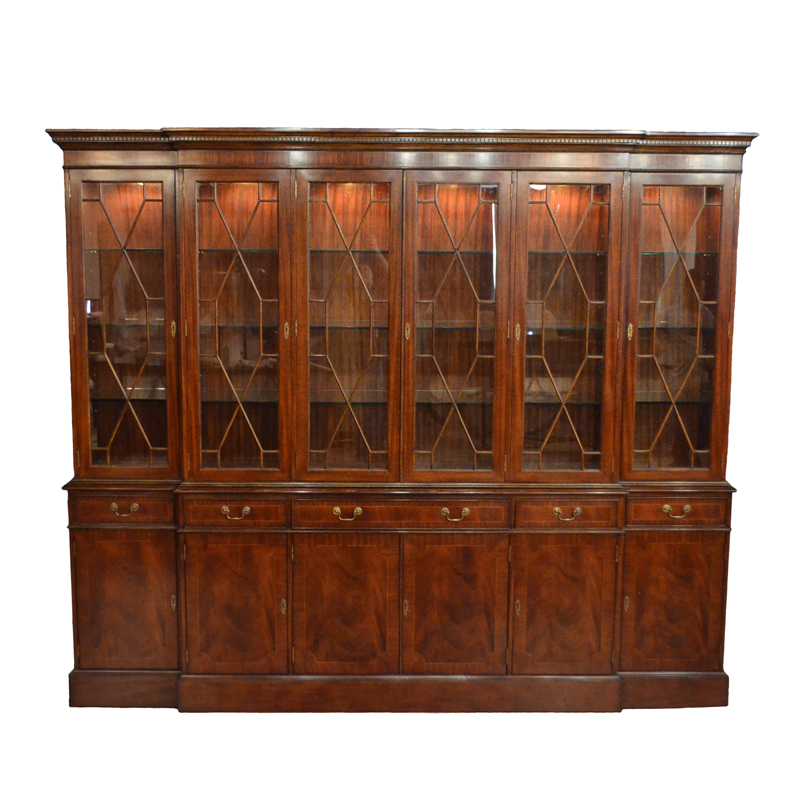 Mahogany oval inlaid 4 door glazed door breakfront bookcase with glass shelves plinth base. 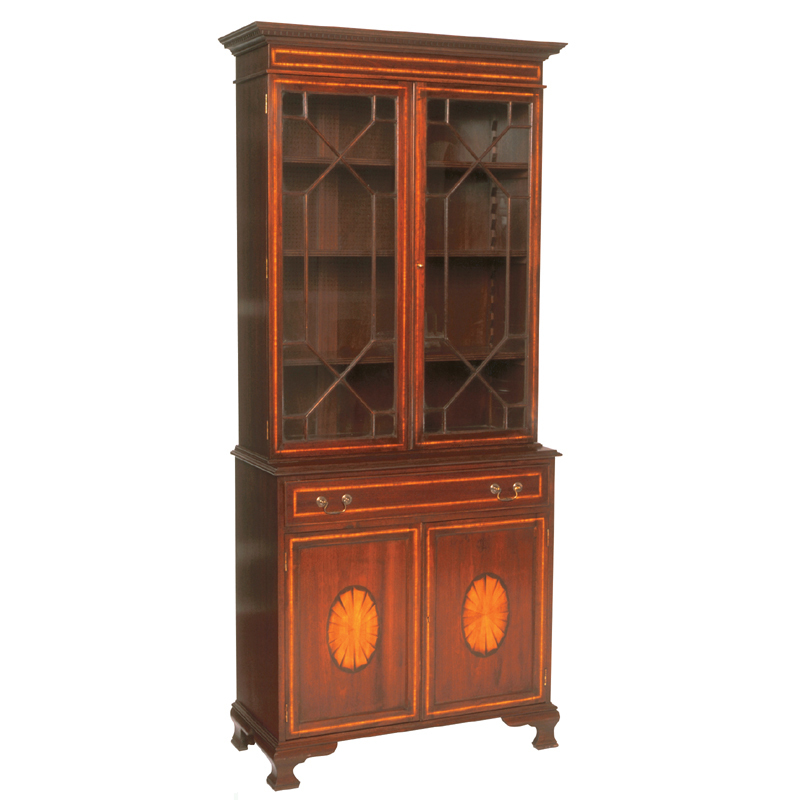 Mahogany satinwood inlaid astragal glazed bureau bookcase on ogee bracket feet. 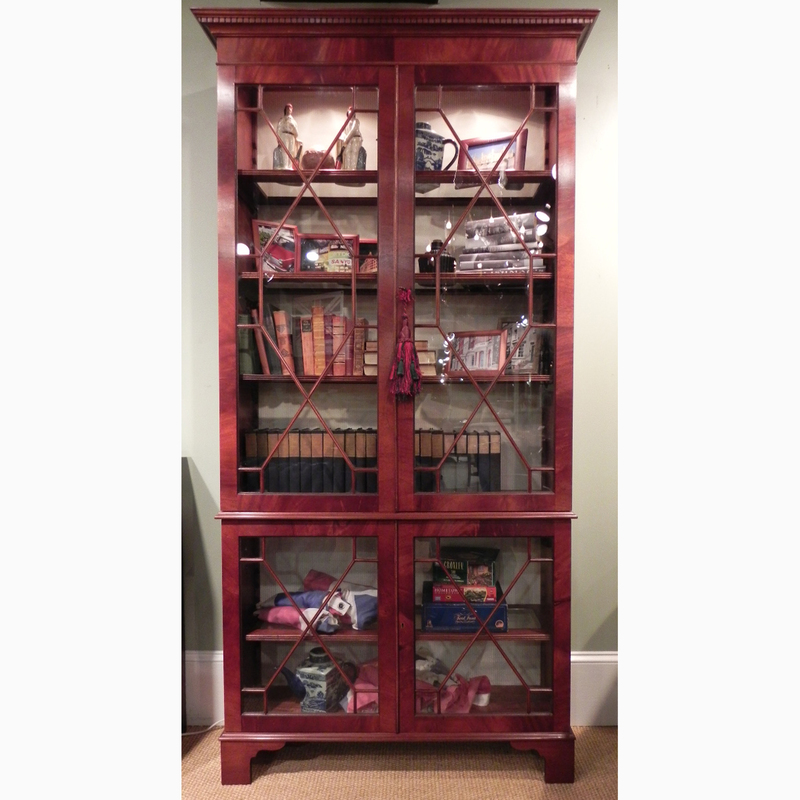 Mahogany side by side add on single open bookcase with adjustable shelves. The sides are flat with no wrap around molding so that you can add as many of the bookcases as you need to fill your space. 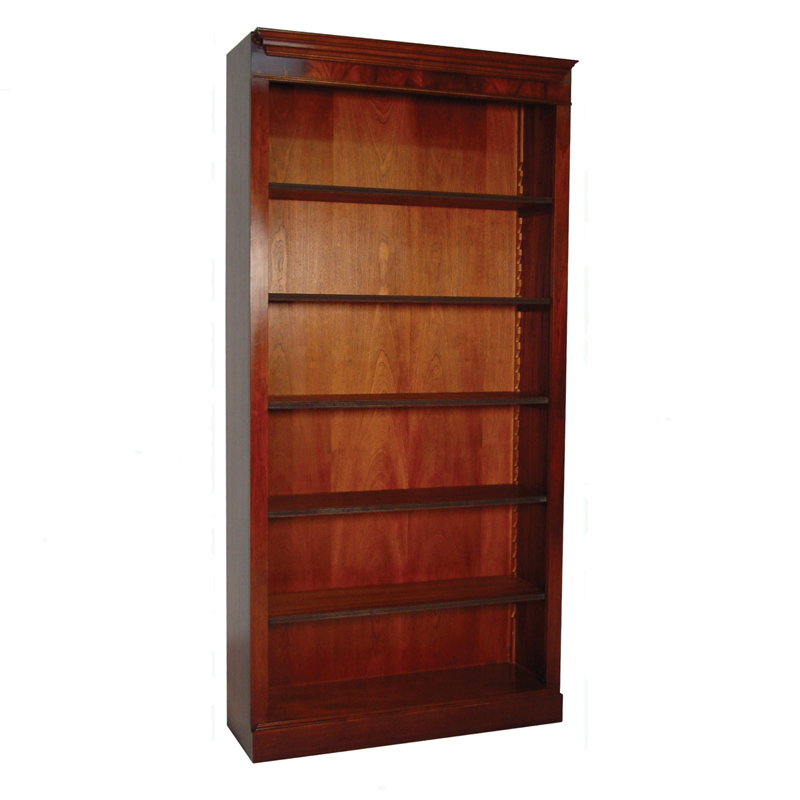 Mahogany single size open top bookcase with 2 doors below. The shelves are adjustable. 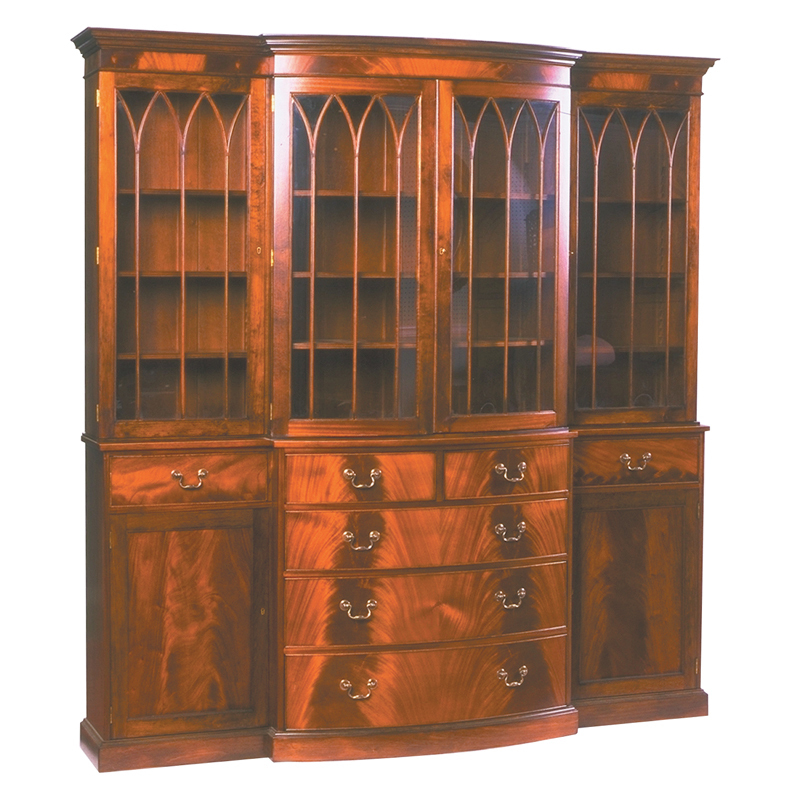 This Mid Cherry Yew wood banded Gothic glazed top door and raised panel base door bookcase with egg and dart molding is available in left or right door. They work great singularly or as a pair flanking a sideboard. The attention to detail is hard to miss. 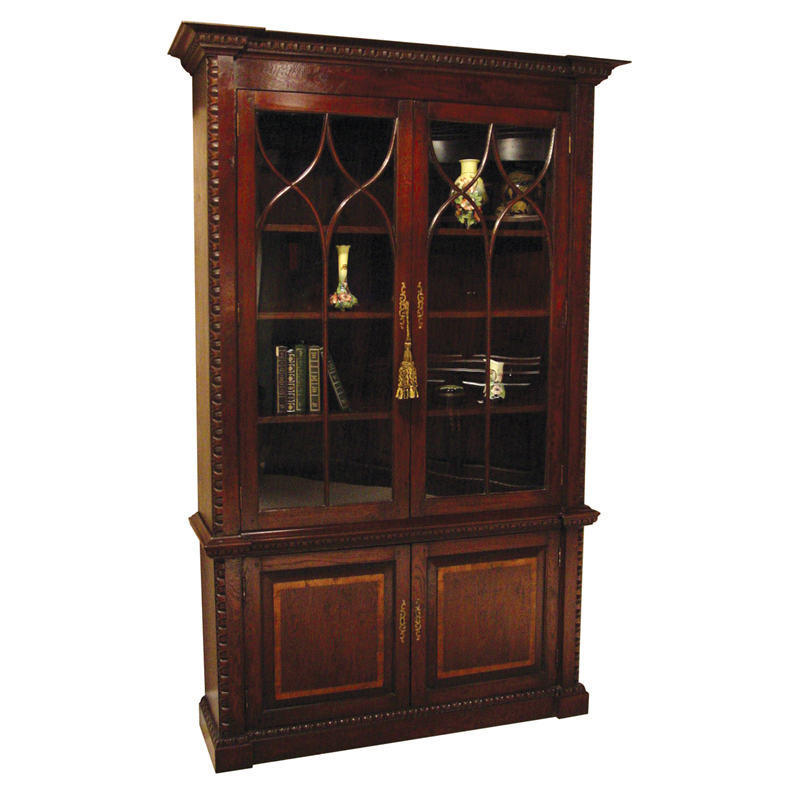 This bookcase is handmade in England by skilled craftsmen. 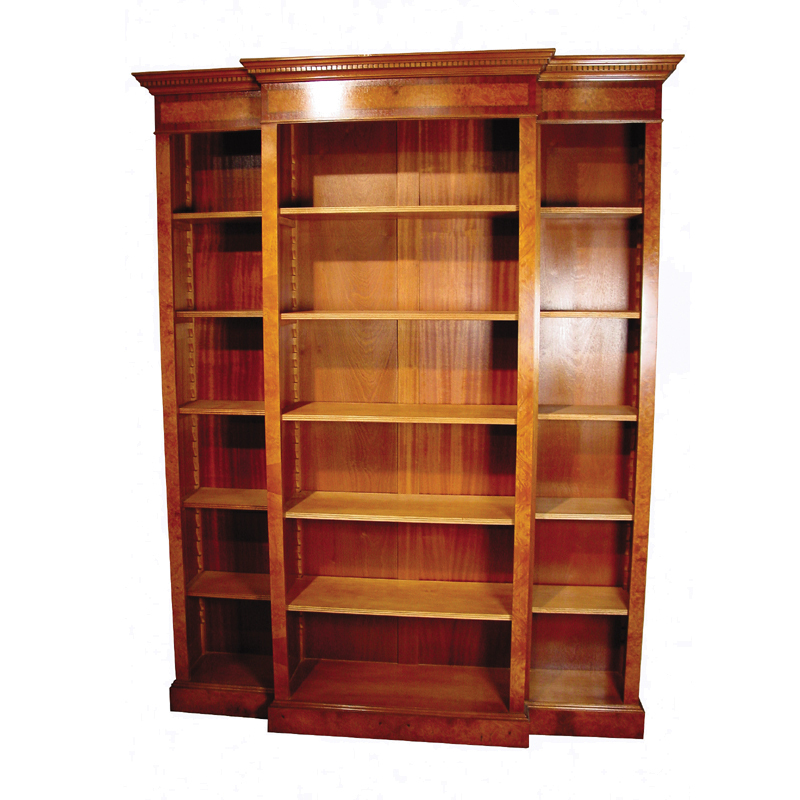 Mid cherry yew wood banded astragal glazed breakfront bookcase with egg & dart molding on plinth base. Handmade in England by skilled craftsmen. 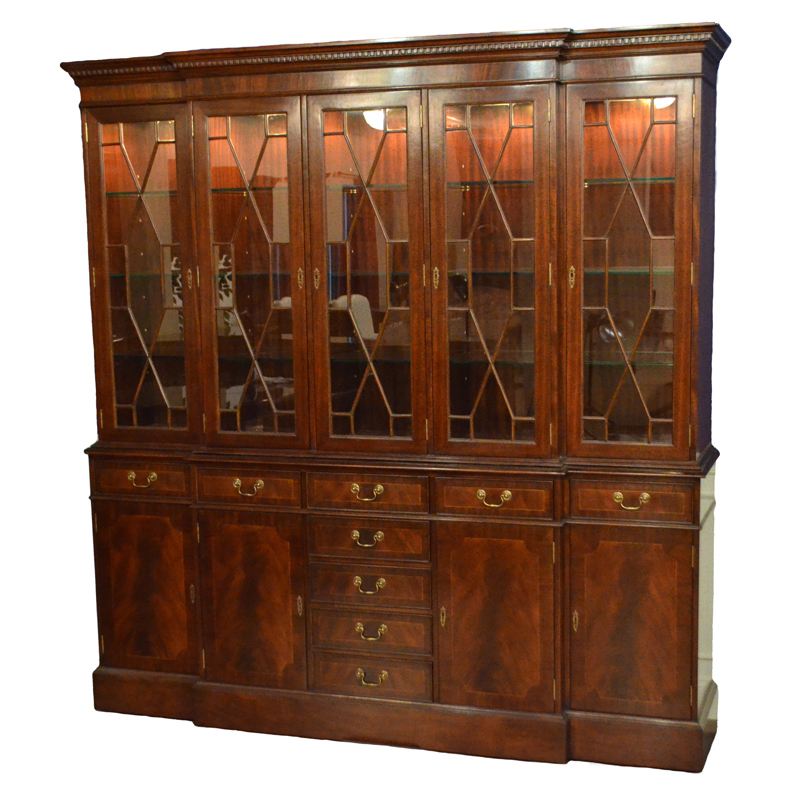 This Mid cherry yew wood banded astragal glazed secretary bookcase on splay feet is a Masterpiece! 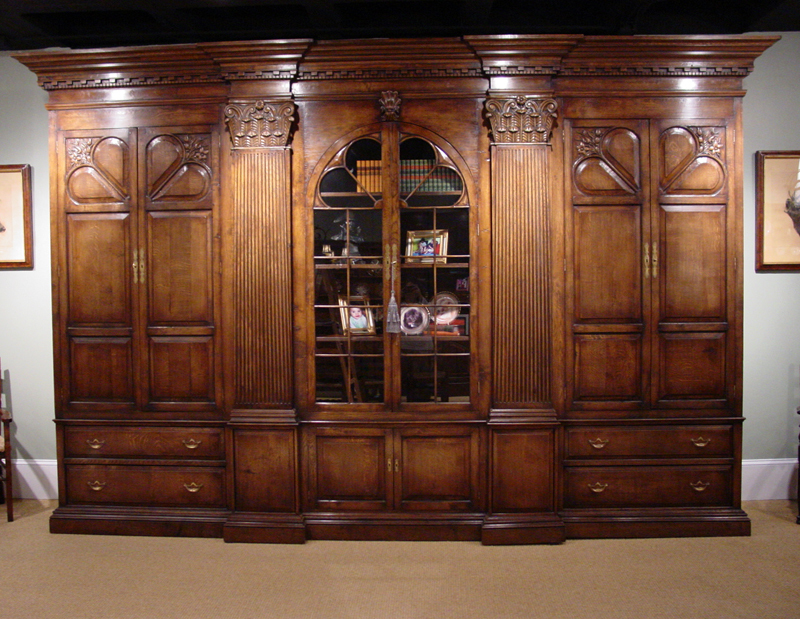 With the attention to detail on the molding and the charming interior behind the drop down front, you will know you have a item destined to be an heirloom. This piece is handmade in England by skilled craftsmen. Oak Yew wood banded bureau bookcase on bracket feet. 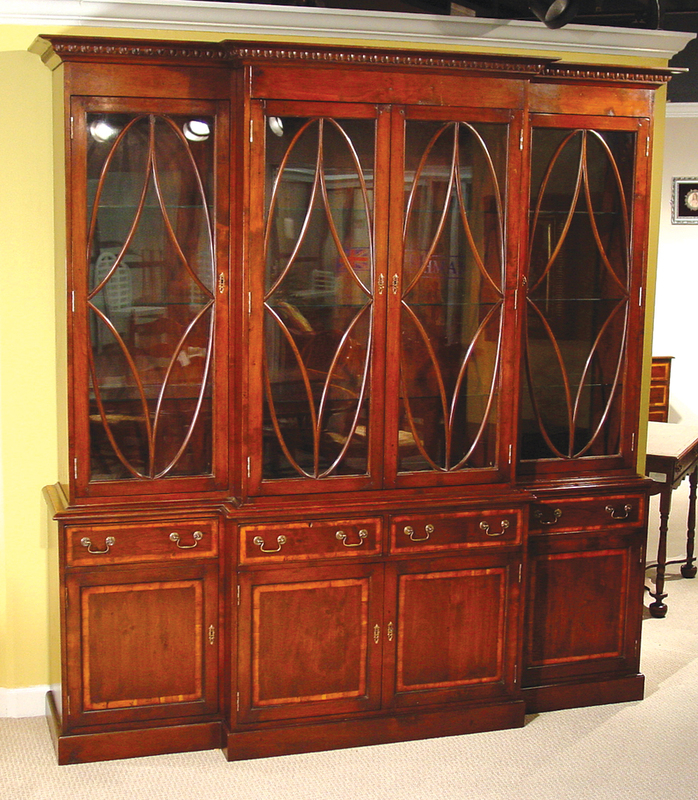 This Oak Yew wood banded astragal glazed bureau bookcase on bracket feet would be a show stopper in anyone's home. The slope front drops down to reveal a leather top writing surface. 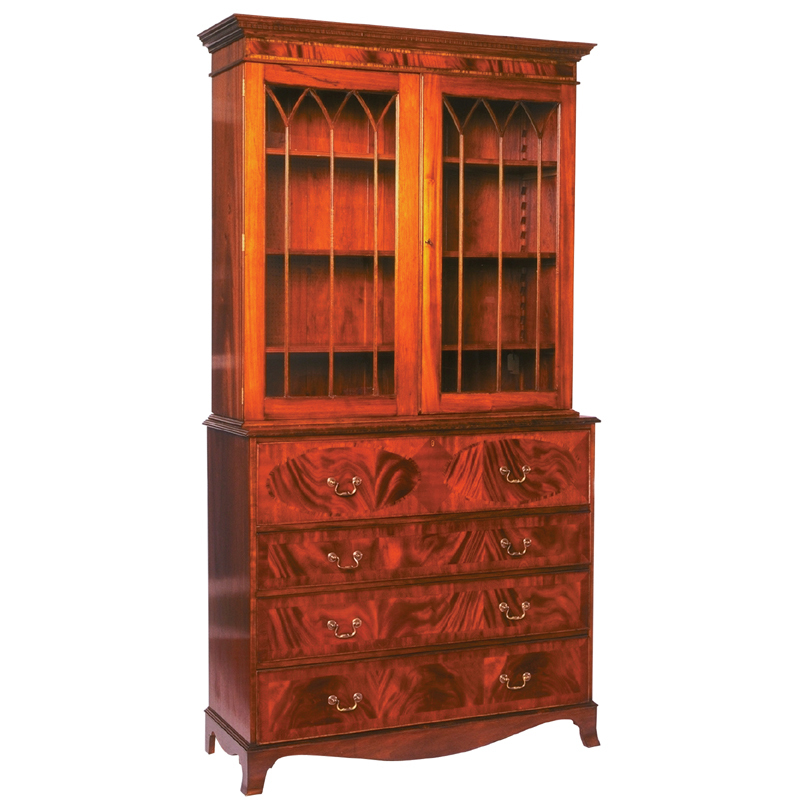 This classic item is made in England by skilled craftsmen in the traditional style of cabinet making. Walnut full bow front 4 glazed door bookcase on plinth base. Walnut inlaid breakfront open bookcase with adjustable shelves on plinth base.